Thanks to continually-evolving technology, hopeful e-ecommerce business owners have a multitude of options to choose from when it comes to e-commerce platforms. The good news is that most of them make it easy to setup and run an e-store. Further, most new-age small business entrepreneurs are well-versed with HTML or web-designing and want to build and manage their online store themselves, i.e. without having to hire a specialist web designer or a developer. After all, for small businesses, a penny saved is a penny earned. Fortunately, this is possible. There are several e-commerce solutions available online that can help you not only in setting up your store, but also with running its day-to-day operations. Mentioned ahead are a few. Building an online store just got easier with ShopIntegrator as it allows users to create their store, run it, manage the back-end processes, forecast sales, and take care of customer service. While entrepreneurs spend the majority of their time looking after sales and keeping customers happy, it is also important that they pay an equal amount of importance to setting up an online store that is user-friendly and easy on the eyes. A comprehensive tool like ShopIntegrator can help tremendously in this department. If you’re looking for a platform that is convenient to use, then your search should stop at ShopIntegrator. With its help, you can convert your already existing website, blog or social media page into an e-commerce store. Its built-in content management system lets you use the content of your choice to market your offerings. It also has the drag-and-drop feature, which allows you to add new features, create and manage coupons, align processes and work-flows that are PCI-compliant, and modify the checkout process. Most importantly, it optimizes your store for various screen sizes, supports seven languages, and offers multiple secure payment gateways for carrying out monetary transactions safely. This is one of the most popular online-store platforms available today. It is well known for its shopping cart tools. One of the biggest reasons for Shopify’s success is that the adaptation of the app store to expand your default Web store. It offers hundreds of useful apps along with a stunning collection of professional-looking themes. Another great feature offered by Shopify relates to abandoned cart recovery, which alerts customers who don’t check out. It also comes with limitless product display options and bandwidth, features which are always welcome! Shopify integrates flawlessly with shipping carriers, fulfilment centers and dropshipping companies. It offers a mobile app which can be used to accept payments and oversee your store. Its point-of-sale system works great in registering payments in your brick-and-mortar store. Further, they have experts who help you set up your store in case you have trouble doing so yourself. Another platform that can prove to be a great e-commerce solution is Magento. It is packed with a plethora of features, which enable your e-store to be ready to expand as you incorporate more multi-site and multi-domain features during the growth stage of your business. It offers integrated architecture, replete with an array of templates and layouts, which can be used to customize your e-store to a great extent on both, the front and the back end. Magento is highly-reliable as it comes with a Secure Payment Bridge which, in turn, provides PCI Data Security Standard and ensures that data is transmitted safely and transactions are carried out securely. When it comes to making payments, customers can choose from among PayPal, Google Checkout, Authorize.net, credits cards, checks, and money orders. They can also use external payment modules like Cybersource, ePay, and eWAY to pay for their purchase. That’s not all! Magento offers support for localization, and can manage numerous currencies and calculate varying tax rates. Overall, it is a fine platform to base your online store upon. How can we forget about websites that want to go niche? If you have a business that, for example, sells vintage goods and handicrafts, then we have the perfect tool that will allow you to target an ocean of buyers who are creatively-inclined. This tool is called Etsy. With Etsy, it becomes convenient to showcase your offerings in an appealing manner. It will automatically connect you with the marketplaces that are frequently visited by your customers, while still giving you a place of your own within their site. Buyers can favorite your products or send inquiries about your offerings. One of the best things about Etsy is that it offers storeowners a widget that can be embedded into their own web pages. It has millions of users, who storeowners can easily access and source their own customers. Further, its professional design offers several opportunities for social interactions. Wix can easily qualify as an all-encompassing solution to all the requirements of your online store. Thanks to the array of responsive templates it has to offer, you will be left with a store that looks faultlessly professional. The best thing about the said templates is that they’re classified in a way so that you can easily select the one that fits your requirements. Wix’s potent features empower you to keep tabs on your inventory, calculate taxes and shipping costs, and simplify the buying-and-selling process on your website. Simply drag and drop features if you want to add or remove them. Wix also allows you to rally your marketing and promotional strategies on social media and integrate with several credible payment solutions. Its built-in SEO tools help in attracting and engaging customers by featuring in search engine results. Stores built on Wix are mobile-friendly, which makes them ideal for smartphone and tablet users. Also, its marketing support features enable users to connect with existing and prospective clients. 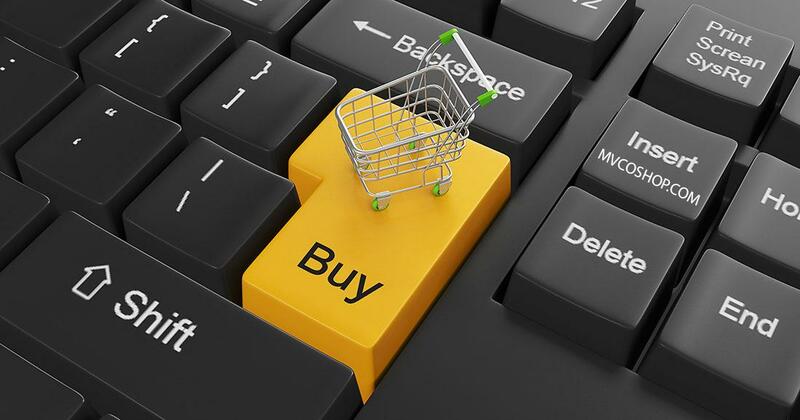 In modern times, having an online store is not an option, but a necessity for every business. Small businesses, in particular, can receive tremendous impetus through their online storefront. With e-commerce becoming increasing popular with the masses, having an efficient web store will only give your business the much-needed boost. So, what are you waiting for? Get your business on one of the above platforms and watch how it thrives on the World Wide Web.